Caity Jones has been coaching for Cardinal since 2013. She is currently an assistant varsity lacrosse coach at Madison High School where she has coached for two seasons. Prior to Madison, she coached at Oakton High School for four years where she graduated from in 2007. Before coaching, Caity played sports her whole life. Growing up, her main focus was basketball. She played on AAU teams year round. She started her lacrosse career as a freshman and played both basketball and lacrosse all four years in high school. Caity had the privilege to play for current Cardinal Coaches, Jean Counts and Lizzie McManus. She also played alongside another Cardinal Coach, Ashley Kimener. She won two lacrosse state championships in 2006 and 2007 and was named Defensive MVP. After high school, Caity played on the Women’s Club Lacrosse team at Virginia Tech. Caity was a senior captain on the team. They attended the WDIA Nationals Championship Tournament two years in a row and won the championship in 2009. She graduated with a Bachelor’s degree in Business Marketing and works in Real Estate. Kristen Conques is a native of Fairfax where she began her lacrosse career at Paul VI Catholic HS. She went on to play at Christopher Newport University where she was named 1st Team All-Conference for four years, and named to the USA South Conference Tournament Team in 2004, 2006, and 2007. 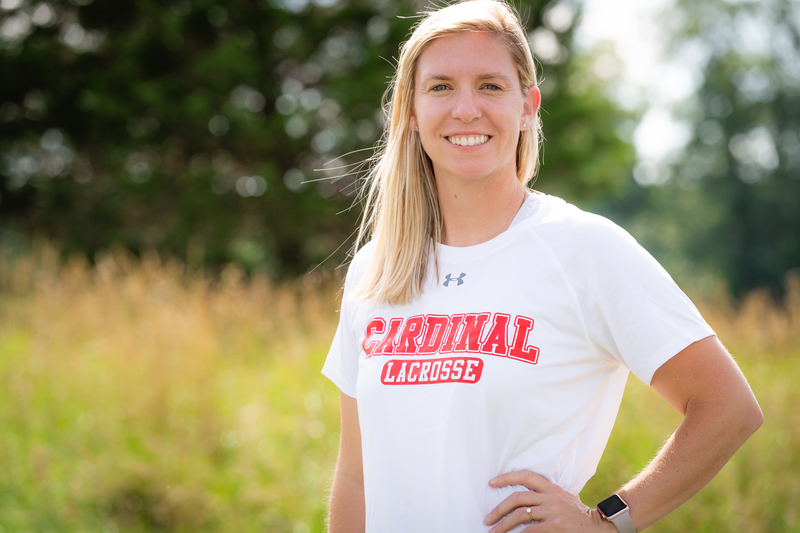 Coach Conques previously held 5 school records, was named All-State, and was the first player from the program asked to participate in the Intercollegiate Women’s Lacrosse Coaches Associations North/South All Star Game. Currently Kristen is teaching and coaching lacrosse at Highland School in Warrenton, VA.